There’s so much to love about Scottsdale Quarter (a few of my faves include shopping baby goods at giggle, adding to my home decor habit at West Elm and enjoying the finally-cooling-off weather on the True Food Kitchen patio). 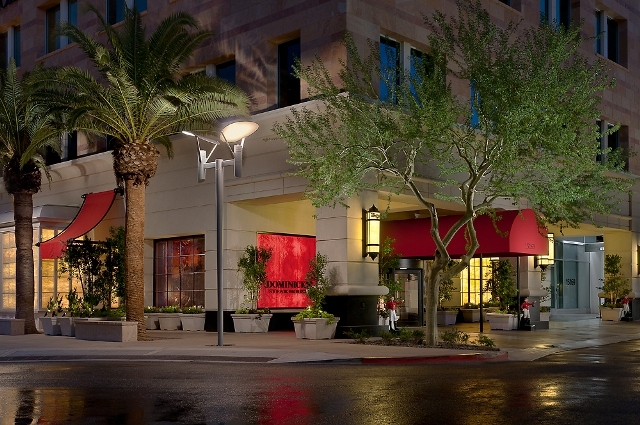 Tomorrow marks the opening of a new luxury steakhouse at Scottsdale Quarter, adding yet another reason to make your way to the urban shopping plaza. Michael Dominick’s Lincoln Avenue Prime Steakhouse is the brainchild behind impresarios behind the Mastro’s brand. 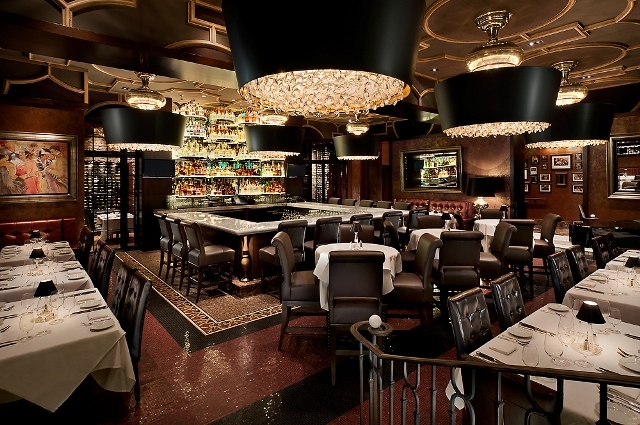 Two-story Dominick’s features a 3,000-bottle wine cellar, six-foot handmade crystal chandeliers, mohair-upholstered ceilings, embossed leather walls, mosaic marble floors, marble bar tops and leather booths. 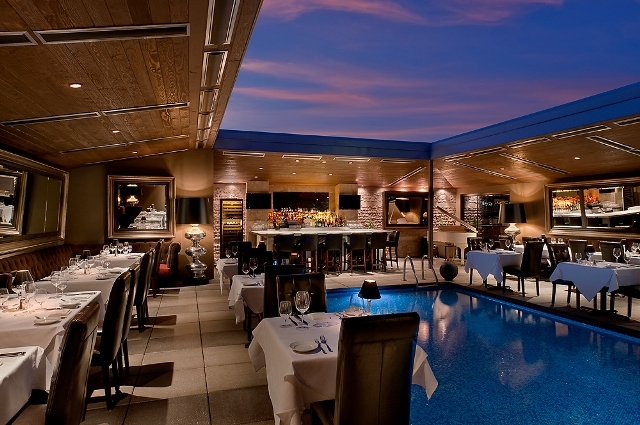 However, the 10,500-sq.-ft. Scottsdale steakhouse’s pride and joy is its rooftop poolside dining. You read correctly. Dominick’s has a rooftop poolside dining room that offers radiant heating with trees designed with Tivoli lights. Plus, the space opens to the nighttime sky, similar to the upper gardens of Rockefeller Center. (Dominick’s is said to have the look and feel of a classy midtown Manhattan retaurant.) Live music will also be perfomed nightly, and the women’s restrooms have complimentary organic cosmetics ready for use. Dominick’s is open seven days a week from 5 p.m. to midnight for dinner service and 4 p.m. to 2 a.m. in the bar. 480.272.7271, http://www.dominickssteakhouse.com/.